Though details are scarce, influential rock performer Lou Reed has died. The artist, who offered decades of output with the Velvet Underground and as a solo artist, was 71. The news of Reed's death comes via several media reports, including from Rolling Stone, though the cause of death is still unknown. However, Reed had an emergency liver transplant earlier this year. A month later, he was once again rushed to the hospital. 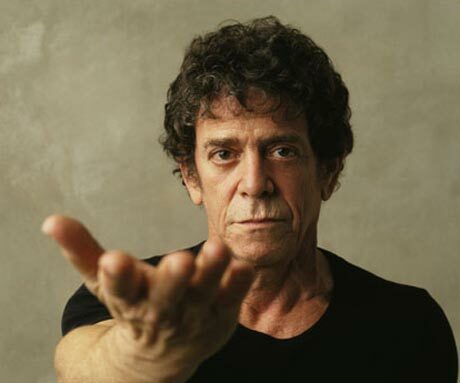 UPDATE: Lou Reed's press agent has now confirmed that the musician died of a liver-related ailment. The New York music mainstay was born Lewis Allen Reed, and he first started work as an in-house songwriter in the mid-'60s. From there, he formed the highly influential art-rock institution the Velvet Underground, who released five studio albums, including their famed 1967 debut The Velvet Underground & Nico, as well as countless other recordings. After VU disbanded, Reed enjoyed a lengthy solo career that included timeless albums like Transformer and Berlin, alongside more experimental works like Metal Machine Music. Along the way, he dropped such classic songs as "Perfect Day," "Satellite of Love," "Walk on the Wild Side" and many others. In 2011, Reed teamed up with Metallica for the widely panned Lulu album. He's also appeared on recent recordings alongside Metric, Booker T. Jones and Gorillaz, among others. After his surgery earlier this year, Reed issued a statement, describing himself as "a triumph of modern medicine, physics and chemistry," adding that he was "bigger and stronger than ever." David Bowie Brands Lou Reed and Metallica's 'Lulu' a "Masterpiece"